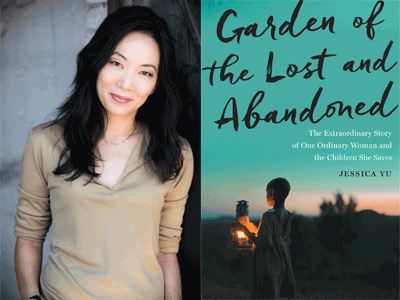 Academy Award-winning filmmaker Jessica Yu discusses her breathtaking debut book, Garden of the Lost and Abandoned: The Extraordinary Story of One Ordinary Woman and the Children She Saves. The problem by most lights is overwhelming: at least 5,000 children live on the streets of Uganda's capital city of Kampala. Some forget the names of their villages. The youngest may not know the names of their parents. But Gladys Kalibbala--part journalist, part detective, part Good Samaritan--does not hesitate to dive into difficult or even dangerous situations to aid a child. Author of a newspaper column called "Lost and Abandoned," she is a resource that police and others turn to when they stumble across a stranded kid with a hidden history. Jessica Yu delivers an acutely observed story of this hardnosed and warmhearted woman, the children she helps, and the twists of fate they experience together. The subplot of Gladys's garden--her precarious dream of providing a home and livelihood for her vulnerable charges--adds fascinating depth. Garden of the Lost and Abandoned chronicles one woman's altruism, both ordinary and extraordinary, in a way that is impossible to forget, and impossible not to take to heart.